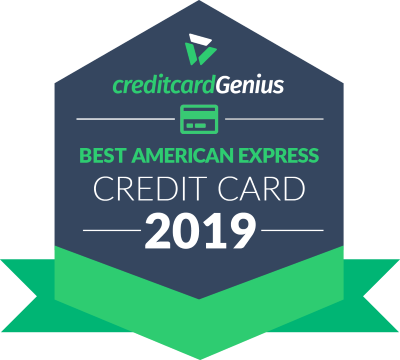 With 5x the rewards at grocery stores, restaurants, and bars, the American Express Cobalt Card is the perfect credit card not just for millennials. The newest card from American Express is causing quite a stir and for good reason. Targeted at Millennials and people who lead active social lives, the American Express Cobalt Card, is the card that rewards cardholders for simply doing the things they enjoy. Allowing cardholders to earn 5x the points on food and drinks, this card rewards you for eating out at restaurants, bars or coffee shops, as well as making trips to your local grocery store. So, no matter what your eating habits are, this card has you covered. The Amex Cobalt card also rewards you for travel and transportation. Giving you 2x the points on gas purchases, Uber rides, your metro card along with more typical travel purchases, like flights and hotels. Wherever you need to get around - this card will give you more points while helping you get there. Food and travel, aren't the only way to earn rewards though. Everywhere else you use your card you will still earn 1 reward point for every $1 spent - the standard amount for most rewards credit cards. Each month that you spend $500 in your first year, you'll earn a bonus of 2,500 reward points*. That adds up to 30,000 points if you do that every month. Those points end up being worth up to $525 when redeemed for flights anywhere in Canada & the Continental USA, $300 for any type of travel or $210 in cash as a statement credit to pay for any purchase you make. 1,000 points for $10 on travel (including your transit pass!) and 1,000 points for $7 on absolutely anything else - no restrictions. We can’t forget to mention the Fixed Points Travel Program that American Express offers. By far your best option for redeeming your rewards, if you go with a long haul flight from Canada to the US, your 1,000 points will be worth $17.50 instead of $10. Added to all of that, is a decent insurance package (Click on the Insurance Coverage tab above to find out more information) and access to exclusive offers and events through the Cobalt Perks Program and American Express Invites. While this fancy new card does come with a fancy $120 annual price tag, Amex has decided to lighten its blow. Instead of paying a fee of $120 once a year, your payments are spread out over the 12 months - $10 a month doesn't seem so bad for the great benefits you are getting. And there you have it. The new Cobalt Card from American Express. Prefer a credit card that offers more acceptance? The will let you earn AIR MILES at a rate of 1 mile for every $10 spent – including Costco purchases. For the same annual fee of $120, it's definitely a card worth looking into.